What to do on a cold & rainy day in Haarlem? Haarlem offers plenty of accommodation choice. No matter whether you like to sleep under the stars – or in at least 5-stars. Whether you choose to stay in a boutique hotel, youth hostel, holiday chalet, apartment or prefer to camp, Haarlem has accomodation to suit all needs, tastes and budgets! Read our hotel descriptions below, book your accomodation in Haarlem now… And start packing! The Amadeus Hotel is in the heart of Haarlem. And only a few steps from the Grote Markt, with its vibrant bars and restaurants. Close to Haarlem’s shops, this accomodation is a top pick with many visitors. Ideally situated right in the historical city centre, the Ambassador City Centre Hotel is an ideal base to discover Haarlem. The hotel’s two restaurants, Grand Café “de Gouverneur” and the “Pasta Pasta” Italian restaurant both have great outdoor terraces with a view of St Bavo’s cathedral. Breakfast can be eaten indoors or in the little courtyard garden. Joops Hotel is also part of the Ambassador City Centre Hotel, and guests can share all of the accommodation’s amenities. The nearest public parking garage is only 50 metres away, and Haarlem station is a mere 10 minute walk. The Amrâth Grand Hotel Frans Hals is in a fantastic location in the centre of Haarlem. It’s also just around the corner from the Grote Markt and Philharmonie. Not to mention some of the best restaurants in Haarlem centre. The Amrâth Grand Hotel Frans is ideal for both leisure and business travellers. The hotel doesn’t have its own restaurant. However, the adjacent Italian Restaurant Pasta di Mama can be accessed directly from the lobby. If that doesn’t take your fancy, then there are another 20 restaurants within a 150m radius of the hotel! De Appelaar public parking garage is situated directly under the hotel and Haarlem Centraal station is a short 10 minute walk away. The Bastion Hotel Haarlem / Velsen is ideal for travellers who want quick, easy access to the open road. Located just off the A208, the hotel has a 24 hour reception, comfortable rooms and a wide range of choice from the restaurant’s à la carte menu. The Bastion hotel also offers free wireless internet and is ideally situated for Haarlem, Amsterdam , Schiphol and the highway. The Brasss Hotel Suites are right where everyone would like to be in Haarlem. Tucked onto a quiet corner, the hotel is a street away from the lovely Spaarne river. And is only a stone’s throw from the best of Haarlem’s shopping, theatre, restaurant and night-life. Haarlem’s Carlton Square hotel offers four star luxury with an old-world charm. 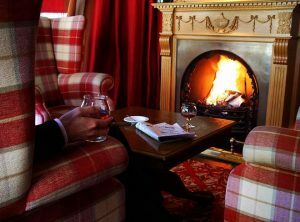 Afternoon Tea and the authentic Scottish Whiskey Bar contribute to that ‘home away from home’ feeling. The Carlton Square has all the facilities needed to host conferences up to 120 people and group dinners. Conveniently located on the edge of the historic centre, but close to the main roads leading to the highway, the Carlton Square is perfect for business or leisure. The Golden Tulip Hotel Lion d’Or is a centrally situated 4-star hotel that dates back to the 18th century. If you are arriving or leaving by train or bus then this is the hotel for you! The hotel is a stone’s throw from Haarlem station. The Haarlem Hotel Suites give you all the conveniences of an apartment right in Haarlem’s historic centre – but with all the services of a hotel! Great for longer stays or families with young children. Hotel Amadeus is situated in a historical building on the Grote Markt (Market square), right in the heart of Haarlem. The hotel has typical Dutch charm with a steep staircase to the lounge (from where on upwards there is a lift!). The lounge has been done up in an old-dutch style – oozing authenticity and quiet charm. The rooms are small but cosy with all modern amenities. Located at the Grote Markt in the centre of Haarlem’s historic district, Hotel Carillon is in a great spot to discover Haarlem’s boutiques, winding cobbled streets, bars and restaurants. The Hotel Carrillon also has its own popular restaurant, serving fusion dishes. The terrace is a great place to watch the crowds go by in the summer. Hotel De Zoete Inval Haarlemmerliede is a four-star hotel with modern decor. If you are arriving by car, then the hotel’s free car parking for 260 cars is a bonus. Wireless intranet is available throughout this accommodation and the conference rooms make this a popular choice with business travellers. Although we do have to admit it looks soulless from the outside. This is not the most attractive hotel from the outside, and is on the outskirts of the city centre. Haarlem’s Van der Valk Hotel Haarlem is part of the popular Dutch Van Der Valk chain. This hotel is in a perfect location if you are looking to beat the traffic jams on the highway early in the morning. Or if you are visiting someone at Haarlem’s Kennemer Gasthuis hospital. Other than that you will either need to take your car, or the bus (2 stops) to the city centre. Hotel Malts is a cosy 2-star hotel situated in a historic building in the heart of Haarlem. The building is listed and has many original details. All the rooms in this accommodation have their own authentic character and have modern amenities. Free wireless internet throughout the hotel. Joops City Centre Hotel is also part of the Ambassador City Centre Hotel, and guests can use all facilities of the Ambassador. The 34 rooms, studios apartments and family suites offer a wide choice of accomodation in the centre of Haarlem. Lambermons Suites offer luxurious accomodation. The suites are perfectly situated for Haarlem’s best restaurants, boutique shopping and nightlife. The spacious rooms would be good for families too. The Stayokay Haarlem is a cheery youth hostel / budget hotel with a great atmosphere. The hotel offers dorms and individual rooms. And the terrace is great for meeting new friends from around the world. 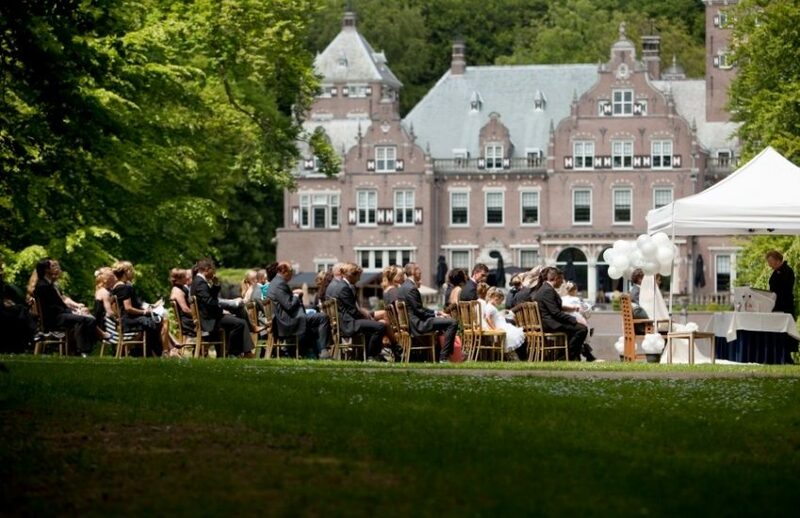 The super-romantic, Duin and Kruidberg is a country house hotel. With a Michelin-starred restaurant it’s the ideal getaway destination! Bloemendaal is a charming, affluent village and is less than 10 minutes drive from Haarlem’s Centraal Station. Hotel Bloemendaal is a boutique hotel. Situated in a historic building, the 11 unique rooms and suites boast designer bathrooms. A family room can be created via connecting doors. The sunny restaurant terrace is a great place to people-spot and watch the Maseratis and Jaguars go by. The friendly staff and delicious food mean you probably never want to leave the hotel. But with 4 Michelin starred restaurants and the typical beauty of the Dutch dunes on the doorstep, you should definitely venture out! Chic boutique hotel, Hotel Bleecker, is right in the centre of charming Bloemendaal village. It’s also just minutes from the beach and nature reserve. Rather off the beaten track, the Spaarnwoudse Resort is best for nature and peace-lovers. If you’re looking for somewhere unique to stay, then Hotelvilla Imhof is it! Situated in the leafy,affluent village of Bloemendaal, the villa dates back to 1902 and looks like it should be a film set. Adding to the allure, the hotel is named after the huge Imhof & Mukle orchestrion in the entrance hall. This impressive instrument, built in 1885 in the Black Forest, used to be housed in the Mekanisk Musik Museum in Copenhagen. It has a 64-key mechanism with 288 pipes, bassdrum, snare-drum, cymbal and triangle in a walnut case with an arched top, glazed doors and glazed panels to the barrel compartment. The hotel has three suites and one room, and breakfast is served in the conservatory. Why book on Visit Haarlem?